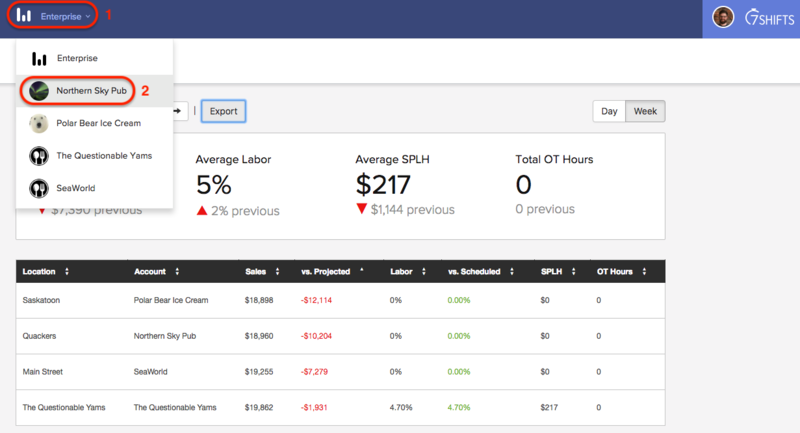 To view the sales and labor information for all accounts in the same place. To easily navigate between separate account. 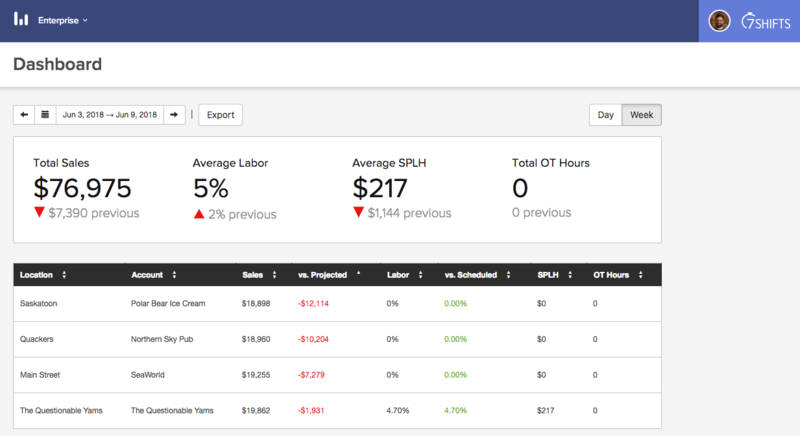 To gain access to the Enterprise Dashboard, please contact sales@7shifts.com. Choose the 'Export' option to download this information as a CSV file. 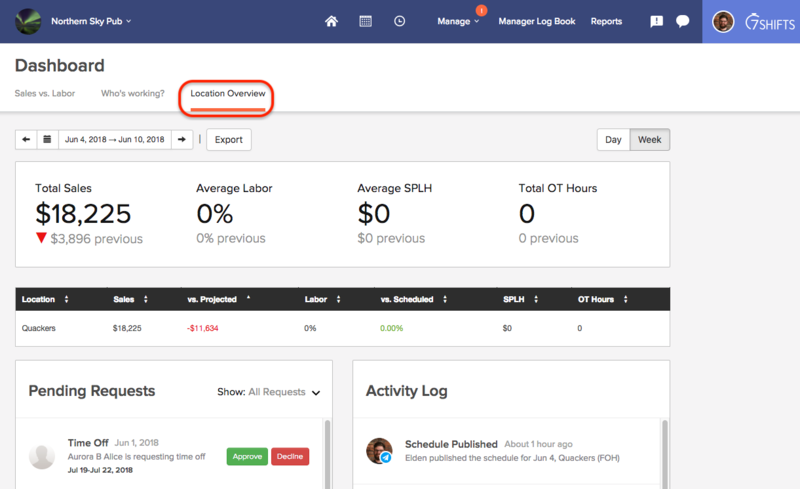 Within each account you will also now have access to the 'Location Overview' segment on your Dashboard, which will allow you to view the above information for the account specific Locations. You can switch between separate accounts without logging out and back in. In the top left corner, select the 'Enterprise' dropdown. Repeat the process to navigate between accounts.